Ever since these incredible Dark Chocolate Covered Coconut Pistachio Popsicles were published, I’ve been thinking about making my own popsicles. I think about it when I have fresh berries on hand or when fruit is on sale at the market. I think about it when I make my own juice at home. Over the years I’ve thought of hundreds of combinations that I want to try and yet, I’ve never made even one popsicle. But it’s been on my mind. Last week I went searching for a few new pieces to add to my ever-growing collection of vintage dishes. I don’t collect a lot of things, I prefer the house to be as minimalistic as possible. It’s more than probable that the cats actually own more stuff than I do. But dishes, that’s one of my weaknesses. I love combing through antique shops, discount outlets, and thrift stores for interesting and unique pieces- the older, the better. I made the rounds to my usual haunts and found something that was going to bring the popsicle idea I’ve been brewing to life: a silicone ice cube tray that made huge ice cubes! Perfect for testing my popsicle skills. The silicone ice cube tray was on clearance for a mere $3.50, so I snatched it up. I made a mental note to pick up some popsicle sticks and was merrily thinking about all of the cool combinations I could make by the time I left the store. Wouldn’t giant ice cubes made with fresh herbs be gorgeous in a pitcher of lemonade or ice tea? I want to invite a bunch of people over to my house just so I have an excuse to make some! I can imagine all kinds of daring combinations for a summer sangria or other adult cocktail. I could even freeze aquafaba into single serving portions for later use. There’s so much one could do with a single ice cube tray! Trust me, I realize I’m not being revolutionary here. I’ve been freezing things in ice cube trays since I was a kid. Back then all I had was the basic tools: a plastic ice cube tray that no matter how you twisted it or banged it on the counter the ice cubes wouldn’t come out, toothpicks, and plastic wrap. 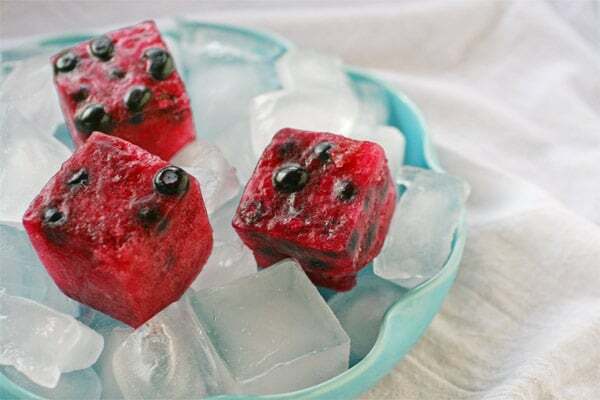 I’d take some Kool-Aid and pour it into the tray, cover it with plastic wrap, and then poke a toothpick into the center of each cube to act as the popsicle stick. 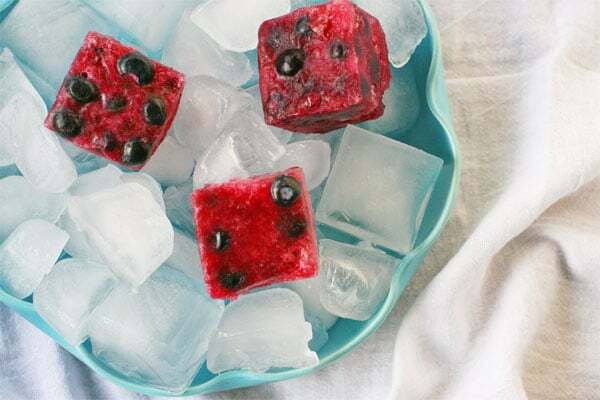 One of my favorite things to do was to make fruit punch ice cubes (sans sticks) and a pitcher of lemonade which I would then serve to my friends. I thought I was clever. Am I being clever now? Not really. But there’s something extra fun about an extra large ice cube tray, isn’t there? 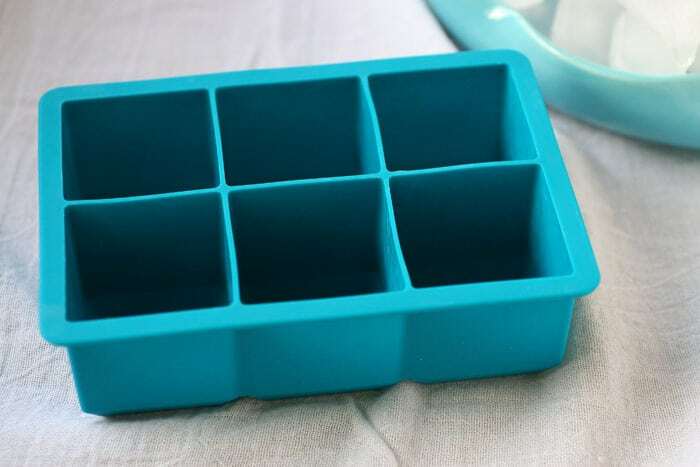 Plus, this ice cube tray has a few benefits the old trays from the 80’s didn’t, namely you can actually get the ice cubes out of the tray without banging it on the counter (which only resulted in flinging the ice cubes across the room). A simple push from the bottom and you’ve got yourself a perfect looking ice cube. Also, you know how those old plastic trays would impart unwanted plastic-y type flavor into the cubes? Not so with the silicone tray. Plus it’s BPA free and all that jazz. I wish I had bought another one so that I could make more than six cubes at a time. Now that I had the perfect vessel for experimenting, I wanted to test it out right away. First, I made plain ice cubes to get a better idea of what they would look like. Surprise! They looked like ice cubes. Next I wanted to try something pretty. I nosed around my kitchen for something to freeze. What I came up with is a bag of frozen blueberries and a bottle of kombucha. Specifically GT’s Gingerberry Kombucha, a delicious mix of blueberry and ginger juice and kombucha. Do you like kombucha? I love an ice-cold kombucha on a warm summer day. 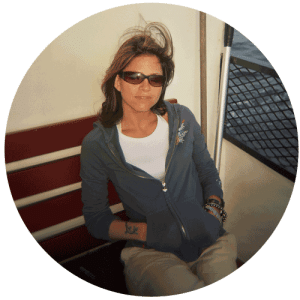 I also use kombucha to settle an upset stomach, to relieve a migraine or much less often- a hangover. It’s one of those things I like to keep on hand as a “just in case.” I have never tried to make my own kombucha even though is seems fairly simple. Generally speaking, I pick up my kombucha by the bottle at health food stores. Have you ever frozen kombucha? I haven’t. But I wanted to see what would happen, so I poured the kombucha into the ice cube tray, added a few blueberries and popped it in the freezer. I had all kinds of questions: Would the kombucha freeze all they way given that there are trace amounts of alcohol in it? Would it still be fizzy tasting when it’s frozen? Would the probiotics that kombucha contains be killed if frozen? What would frozen kombucha taste like? Inquiring minds wanted to know. What isn’t so superb is that I filled the ice cube trays too much and the kombucha exploded all over my freezer. That was fun to clean. Also, you know that slight vinegar/fermented smell that kombucha has? Freezing seems to enhance that smell. It’s possible that I think that due to the explosion in my freezer, but I wanted to mention it. So, how did frozen kobmucha taste? Ah-maz-ing! It actually retains the fizzy taste that kombucha is known for too! Even if the probiotics die, which it’s hard to say if they would revive in the stomach, the beneficial acids/vitamins & other stuff is all still there. There’s also research that dead bacteria can pass DNA signatures onto living bacteria enabling them to still have a positive influence. All in all, it’s good to get more booch in the diet however you like to do it. A frozen treat that is healthy? Yes, please! You’ll notice I didn’t add any popsicle sticks to my pops, so I had to chisel away at my popsicle in a bowl using a grapefruit spoon. In this way my preparation was more slushy than popsicle. But who doesn’t love a slushy, amirite? 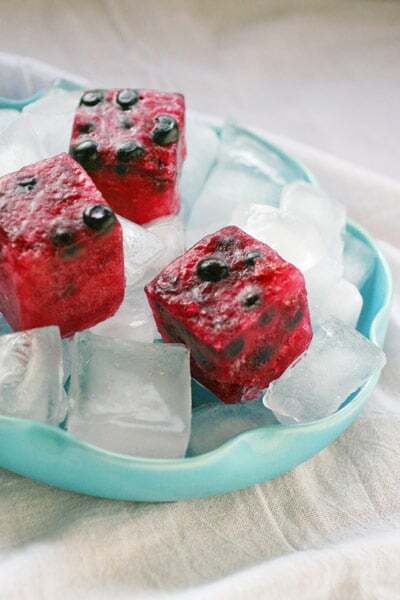 I can even see throwing these pretty cubes into a blender and turning them into a smoothie, why not? In hindsight, this ice cube tray doesn’t make great popsicles- the shape and size isn’t right. I’ll probably search for a proper popsicle tray for my future popsicle experiments. What about you? Have you ever froze kombucha? Have a favorite popsicle recipe? Let’s swap stories! I’ve never had Kombucha. Two or three in a blender with a little added sweetener would make a super thick and creamy smoothie. Or would the nature of Kombucha cause curdling?